4516 N Saddle View Drive which is listed by Tierra Antiqua Realty (the real estate company I work for) went under contract today: the list price is $339,950. This 2,236 square foot one-story home offers granite counter tops in the kitchen, upgraded stainless steel appliances, a remodeled master bathroom and more! 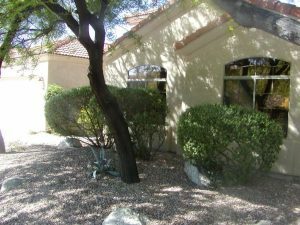 This one is located in a very quiet street of Sabino Mountain backing to Rockcliff area. It sold 3 years ago for 322K and was on the market for four and a half months. Remember if you are thinking of selling your Sabino Mountain home, give me a call at 520-615-2598 or email me at Donna@DonnaAnderson.com. I have sold 15 in our beautiful neighborhood! It took Tierra Antigua Realty 5 months to sell this flip at 4209 N Ocotillo Canyon: List Price-$319,900; the final sales price I will post when it closes escrow. This flip was purchased at $258,500 last year and then the Sellers added new carpet, a new front door, some new appliances and light fixtures. This 2,236 square foot home has a two-car garage and has the popular Pepper-Viner-one-story floorplan with the large great room in the center and 4 bedrooms on one side and the kitchen, breakfast nook and family room on the other side. This property had been a rental for a number of years before it went to foreclosure. The bargain price reflects that it is a flip. Currently there are only 7 Homes for Sale in Sabino Mountain; List Prices are between $319,900 – $1,295,000. There are no homes for sale priced between 410K – 889K. 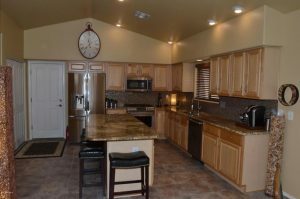 Click on the link~ 7 Sabino Mountain Homes for Sale. If you are thinking of selling your home, give me a call at 520-615-2598 or email me at Donna@DonnaAnderson.com. You are currently browsing the Sabino Mountain Blog blog archives for October, 2016.